Here is the latest from Seth with some true gems for those in a pinch caught without the proper bike tool or gasp, Shimano mineral oil. If you have all the right tools and equipment, there’s no need for hacks. Otherwise, watch this video. We’ll go over everything from bleeding your mountain bike brakes with no kit, to cutting carbon without a dust mask. Fun, utility, and safety, all in one video! 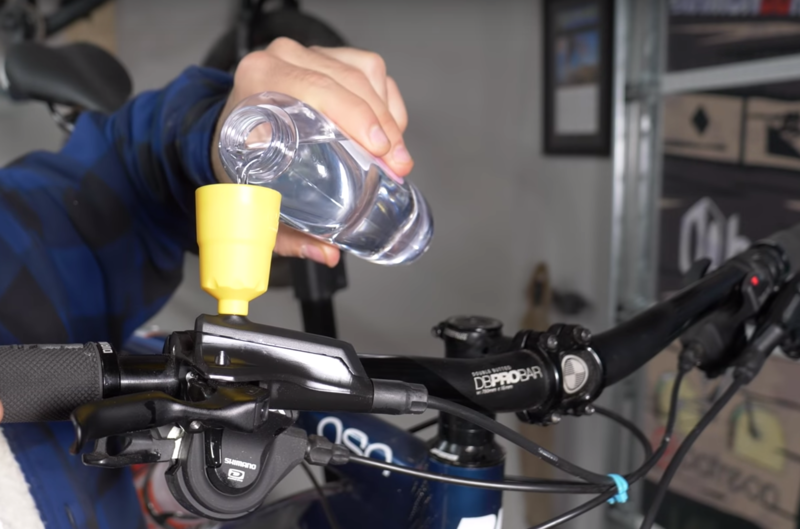 Johnsons baby oil for Shimano brakes might be the ultimate sacrilege or hacker’s delight. Seth is indeed the master of bike hacks as illustrated by his brand and channel title. He has a few in his channel here. But the one that has garnered the most views is this gem with over 7 million views. And another article that I will never see because it’s a G.D. video because lazy f***s are too lazy to type it.